Since 2014 we have experimented and tested and printed thousands of meters of fabric, fabric that has travelled the world some as far as the very exotic Mustique in the Caribbean. However, amongst this all we have also kept to our core values and the still enjoy the peace of the Caversham Valley and working with family. We have found our feet and there is a thread that seems to run through all our designs that distinguishes us from other fabric houses out there. Our logo, based on the Woodland Hoopoe, also known as The Laughing Women, was the perfect fit for us at the start of our journey but as time has rolled on by we have felt the need to reassess the overlook look and fell of our brand which has led us to today. Let me introduce you to our new logo, and stunning branding which represents so much more than just a company logo to me which all boils down to the pivotal image of the C.
C – Caversham, our beautiful valley and home to our family for 35 years. C – Country, we are not a city-based studio but instead are lucky enough to be happily ensconced in the Kwazulu Natal countryside! C - Caversham Press, the inspiration and ‘parent’ company to the textiles. The Caversham Press has the most unbelievable history and is the reason why we chose to base all our designs on fine Art Prints and traditional print techniques. This is what I grew up immersed in, our home had a steady stream of artists, local, international and from all walks of life, constantly passing through whilst they enjoyed their journey of creating their own works of art under the watchful eye of a master printmaker. C – Creativity, well this just seems to naturally go along with the legacy of Caversham and it is the basis of our company, without any creativity we wouldn’t have any designs! Creativity is what keeps you searching for new ideas and keeps things fresh. C – Church, some people may not know that we are happily nestled on the property of what was once an 1800’s Methodist Church. The original church forms part of the original print studio. C - The most important one of all, keeping the best for last – Christian, my family, my maiden name, where it really all started. My amazing parents, Malcolm and Ros Christian without who we would not be here today, me… literally, but without their vision, support and hard work Caversham Textiles would never have come to fruition and become a reality. I am so incredibly fortunate to be able to work with these two incredibly talented people in this beautiful place that has been a part of my life for so long. 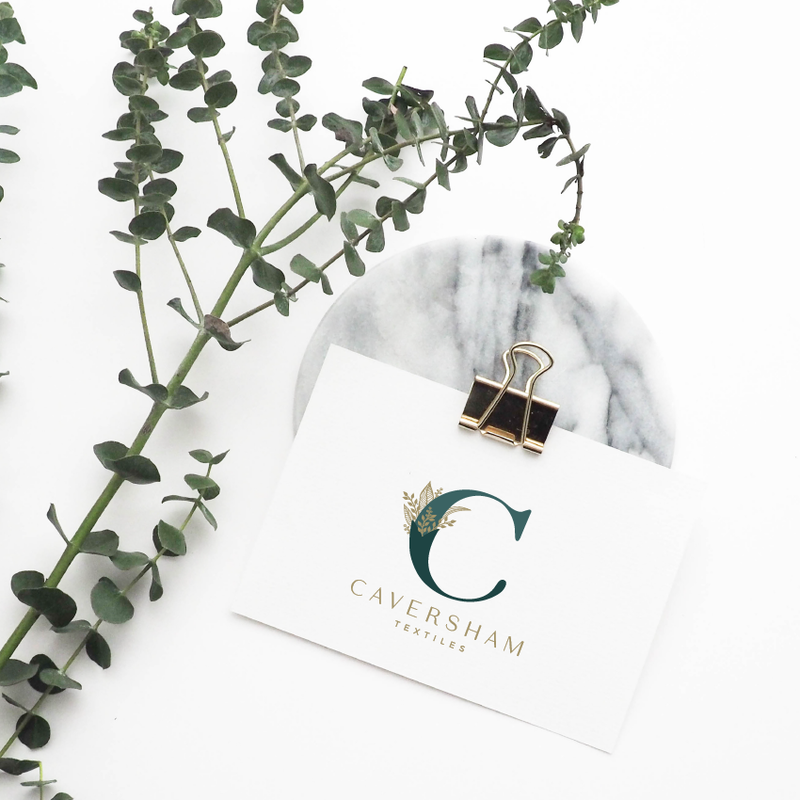 Our traditional roots and love for nature and beauty in all areas are all represented in this rich, opulent, exquisite new logo that is just the perfect fit for Caversham Textiles as we forge on into the future.